It's not just Reference Service; It's Customer Service! A Multi-Channel Communication Platform for Successful Libraries. Answer Users' Questions via LibChat, SMS, Email, Twitter, Facebook... and Provide a Self-service FAQ Portal, too. Ensure your users get the answers they need, whenever and wherever. Embed LibChat and "Ask Us" widgets into any webpage, manage all social media communication, and take control of your institutional knowledge with a powerful ticketing system and FAQ builder. 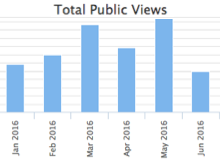 LibAnswers does it all, with detailed statistics to boot! Social media has changed how customer conversations happen. Your users are tweeting you questions and posting on Facebook and Pinterest. Use LibAnswers to engage with users on social media and create fans & library advocates. Activity from Twitter, Facebook, and Pinterest in one place enables you to efficiently monitor and engage all social channels at once. It's as easy as answering a ticket or a question in LibAnswers - all point-and-click operations. Apply Filters across any social channels to stay on top of all active conversations. Flag posts for followups and deletions. 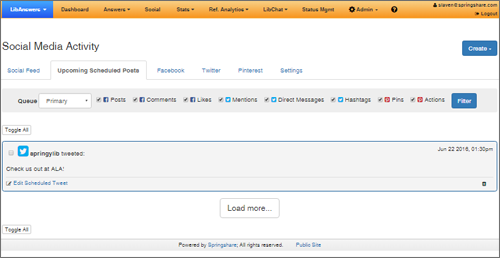 LibAnswers has everything you need for effective monitoring of social channels. Keep your social media followers engaged even when the library is closed. 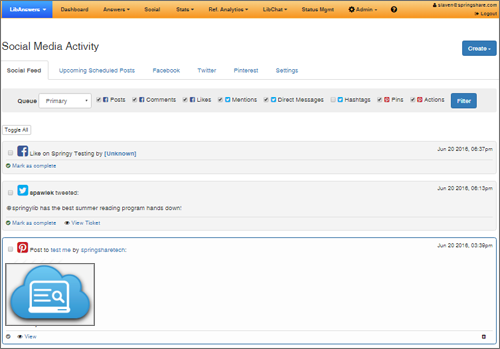 Schedule posts in advance so your users get a steady stream of social activity from the library. Time your Social Media activity around library events and schedule posts on every channel to promote the library services and to actively engage your community. Detailed statistics for each channel in one place give you a clear picture of the library's Social Media activity. Who are your social media followers, what are their interests, which users do you most engage with... Our engagement analytics help you understand your social media efforts. In today's online world, social media is an essential part of a communication strategy. We help you provide a qualitative picture of the Library's activity on Social Media. 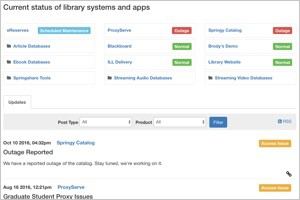 Unify all library communication channels into one platform. Integrate social media with your reference and outreach services and make it part of your communication workflows. LibAnswers enables librarians of any skill level to use the social media channels to their full advantage. Our easy-to-use and easy-to-understand social media functionality guides you through everything you need to know to master the social media strategy. Used by thousands of libraries worldwide - either individually or in a consortial resource sharing setting - LibChat is the ideal chat reference tool. Comprehensive chat functionality, many embedding options, and integrated reference and helpdesk workflows make LibChat an easy choice. Customize the look and feel of the widgets and embed different widgets on any webpage or inside any web app. Embed them inside Springshare apps with one click! In-Page, Pop-out, Slide-button, Bottom Slide-up etc. Customizable Skins for Each Widget. Anonymous or Name Required Option. Promote your chat reference service to your community and prompt users to ask for help at point-of-need. Set your LibChat widget to automatically pop on the screen and offer help if the user has been on a page for longer than X seconds. Ensure a rock-solid chat experience for your patrons, no matter where they are or who's online. Create fallback widgets to connect users to the help they need. Chats follow users as they navigate from page to page, and chat works beautifully on any and every device. "Follow me" - chats follow users as they navigate pages. Send and receive files during the chat session. Send "We're still working on your question!" messages automatically. Fallback rules connect users to different queues based on operator availability. After each chat, the patron can provide rating with any optional comments about the chat. All transcripts are saved automatically, but the admin can purge them on demand. The system can also scrub patron-identifying data from saved transcripts. Timestamp for each sent and received message. Privacy controls and scrubbing of data. Quality control and ratings included. With LibChat, your chat operators are in the driver's seat. Our customizable chat interface will have your staff managing large volumes of chats with ease. Collaborate and transfer chats, engage in operator-only chat, etc. Save custom login settings for departments and users. Transfer chats to other chat operators. Chat with other operators to collaborate on answers. Turn chats into tickets for later follow up with one click. The LibAnswers platform provides libraries with complete email ticketing functionality, fully integrated with the rest of the communication channels. Answer emailed tickets from one central dashboard, collaborate with colleagues on ticket answers, use different queues for various library departments, build and maintain a knowledge base and FAQs... it's all here. 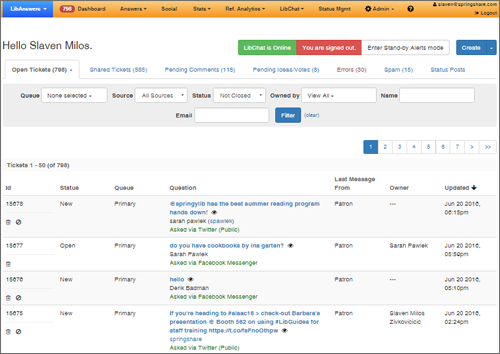 Assign any number of email addresses to LibAnswers, and all questions will flow to the main Dashboard for all to see. 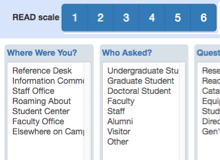 Embed "Ask Us" Widgets on any webpage and customize question fields. All submissions are queued in the LibAnswers dashboard, too. Collaborate on Answers without stepping on each other's toes. Leave Internal Notes for other librarians, and see who else is looking at the same question. Ticket tagging and status notifications. Manage ticket properties with ease. Merge and reassign tickets as needed. Create custom views for each user. When every question and every answer matters, the LibAnswers Ticketing system ensures that patrons get the highest-quality answers in the shortest amount of time. Customer service FTW! Create a community knowledge base portal with FAQ entries containing videos, rich media, documents, and any info necessary for your users to find the answers they need. When LibChat operators are offline, users can search FAQ entries inside any LibAnswers' chat or support/ask us widget. This ensures that patrons can get help 24/7. FAQ entries are directly searchable in LibGuides search results, and you can use widgets to embed LibAnswers FAQ content on any other page or site. Facebook Messenger is the most popular social messaging and communication platform. With LibAnswers, you can establish a direct presence on Facebook Messenger and answer your users' questions directly from there. 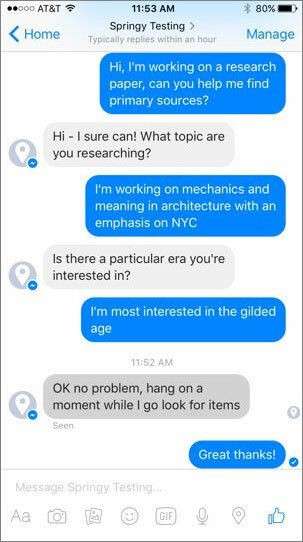 Once the user has their library available on FB Messenger, it becomes really easy - and effective - to create personal connections with the user and help them with any research or library-related questions. Patrons use Messenger to communicate, and this places the library in this important communications channel. Facebook is currently the most important social & communication network in the world. LibAnswers helps you establish a solid presence on both Facebook and Messenger app so that you can effectively and efficiently communicate with your users. Improve the quality and accuracy of your FAQ Knowledge Base with LibAnswers' Query Spy search analysis tool. Query Spy analyzes all search queries in the system and reports whether the search resulted in a successful "hit", i.e. whether the user landed on an FAQ entry which answered their question. Review the search queries on your site and even create new FAQ entries directly from Query Spy with just a few clicks. Query Spy is a unique and incredibly useful tool for fine-tuning your Knowledge Base and ensuring accurate matches to patrons' Frequently-Asked Questions. The Systems & Services Management module of LibAnswers helps you manage status updates and convey important information about your library systems such as your online catalog, discovery service, subscription databases, library website... and any other system or service at your library. Create product-specific help widgets for all your systems and embed them anywhere. If patrons are in your catalog, they get catalog-specific help at point-of-need. One-click live help is available with LibChat integration, or patrons can submit tickets into your LibAnswers queues. 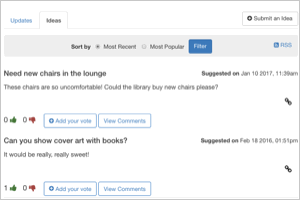 Solicit patron feedback on the library products they use and open up the conversation by enabling users to submit product enhancement ideas. Manage all feedback and ideas seamlessly, on the back end. Create a real-time dashboard showing the status of each library system, with additional information available for any problem reports or outages. Embed the status widgets anywhere so users can always be up-to-date on the library's IT infrastructure. In the past we had virtual reference services scattered through different systems. LibAnswers makes it easy by putting them all one place. Even better, it allows us to collect and analyze data on all our reference services to inform decision-making. View real-time usage on everything in the system. Measure FAQ growth over time, hits on FAQs, total tickets for all your reference channels, LibChat and SMS stats, and even total number of search queries. See how your chat service is used. Discover busy periods and view the daily, weekly, monthly distributions. Report on user browser/OS info, including mobile analysis. Record all reference transactions (online or in person) in LibAnswers and produce detailed reference reports - handy when preparing year-end library use reports. With permission from the READ scale creator, Dr. Bella Karr Gerlich, the READ scale is fully integrated into Reference Analytics. Record the READ score for every reference transaction and run READ score statistics. 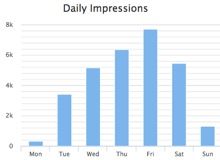 Demonstrably measure & report on your social media activity in all channels. Run aggregate statistics or drill down to individual channel engagement statistics. View detailed statistics on FAQ pages, including users' comments and votes. 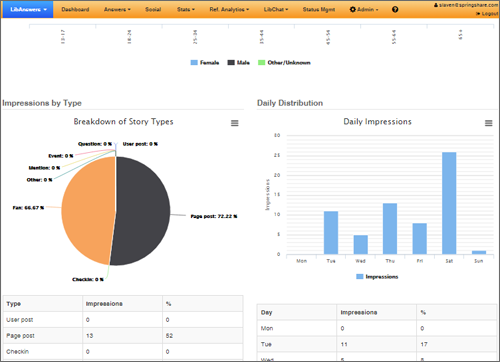 QuerySpy reports expose gaps in your content and help identify areas where new FAQs can be created or adjusted. Tight integration with other Springshare tools creates a winning platform, which helps libraries meet the needs of the community and ensure that users have an amazing library experience - always. Promote FAQ content on LibGuides pages. Embed LibChat widgets inside LibGuides Librarian Profiles and Profile boxes within guides. 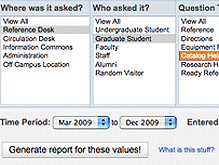 View LibAnswers Q/A content on LibGuides search result pages. Embed LibWizard feedback surveys in your automated follow-up emails. 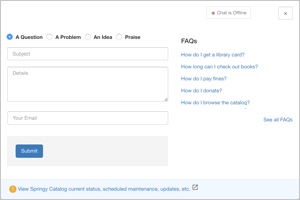 Access LibCal events info and promote library events in LibChat while chatting with patrons. Feed LibAnswers interaction details into LibCRM profiles. Compare LibAnswers statistics with other library services and stats inside LibInsight Cross Dataset Analytics. Communication and Social Media for Libraries. Answer questions via Chat, Email, SMS, or Social media. Build a knowledge base & FAQs. Get detailed reference stats.